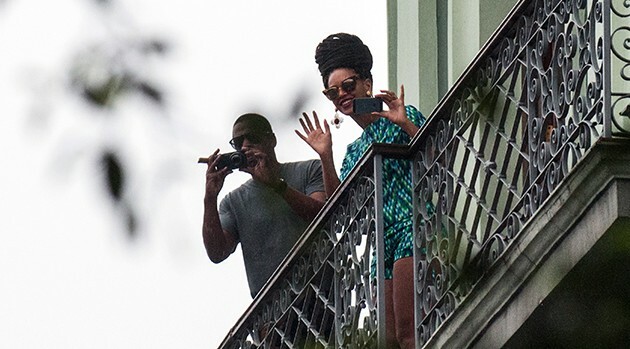 STR/AFP/Getty ImagesIt’s been determined Jay Z and Beyonce did not violate U.S. sanctions when they made a trip to Cuba to celebrate their fifth wedding anniversary in 2013, Time magazine reports. The United States Treasury Department’s inspector general’s office made an announcement Wednesday. It concludes that the Office of Foreign Assets Control, which issues licenses to organizations that sponsor educational exchange programs in Cuba, was “reasonable” for having passed on a formal investigation into the couple’s visit. In April 2013, Republican Senator Marco Rubio and Representatives Ileana Ros-Lehtinen and Mario Diaz-Balart, who are Cuban-Americans, raised concerns that the Obama administration wasn’t properly enforcing the travel regulations between the U.S. and Cuba. At the time, the Treasury Department had given Jay and Bey clearance to make the trip.